In celebration of National Library Week 2014, Musselman Library held its first annual Edible Book Festival. 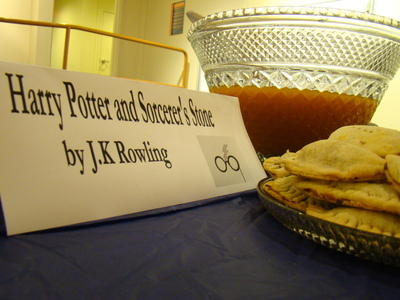 Library staff members created book-inspired treats to share with the campus community. Holly intern Stephanie Bowen brought a little bit of Hogwarts to Gettysburg by making pumpkin pasties and pumpkin juice. The Harry Potter entry was voted Most Appetizing by festival attendees.